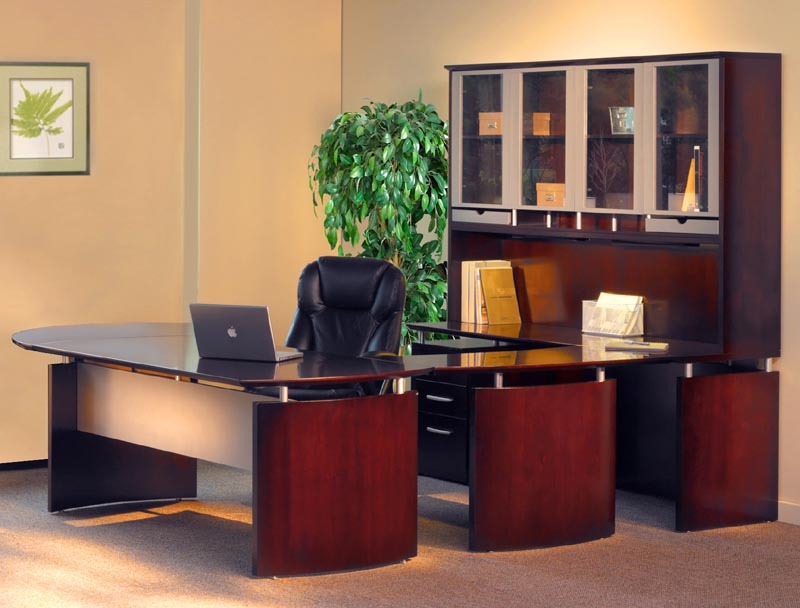 Clean lines, “floating” desks, and a generous use of glass and metal reflect the Italian sensibility behind the Napoli Series. 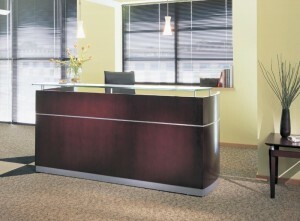 The form is fresh and current, the function is thoughtful and sophisticated, and the overall effect is dazzling. 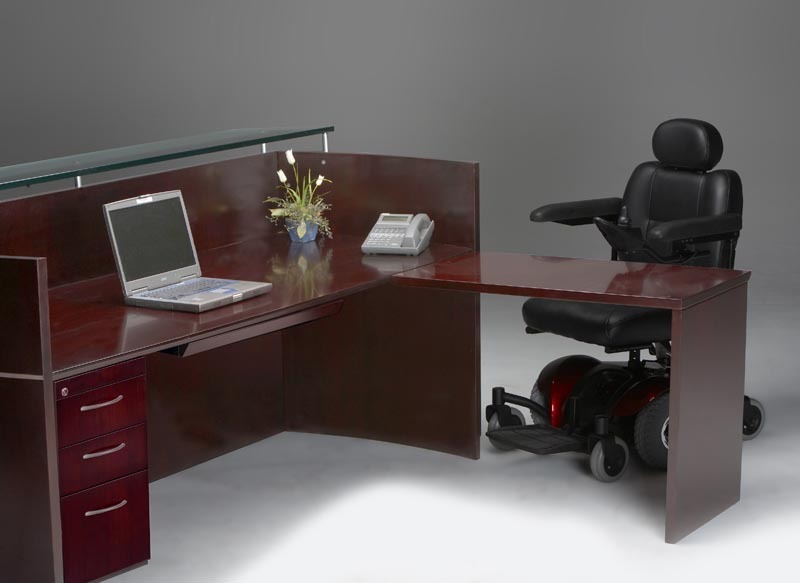 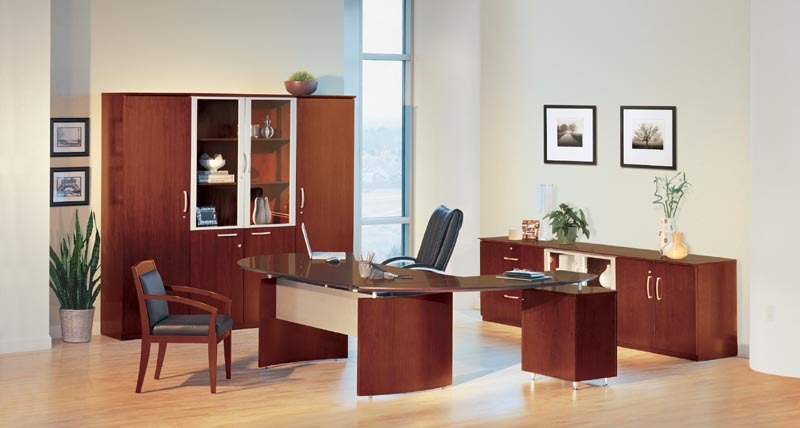 Three wood finishes support a broad range of design visions, and a multitude of desking and storage options support any user, from CEO to receptionist. Hand-crafted with AA-grade North American select wood veneers using a 14-step finishing process to insure uncompromising quality and consistent beauty. 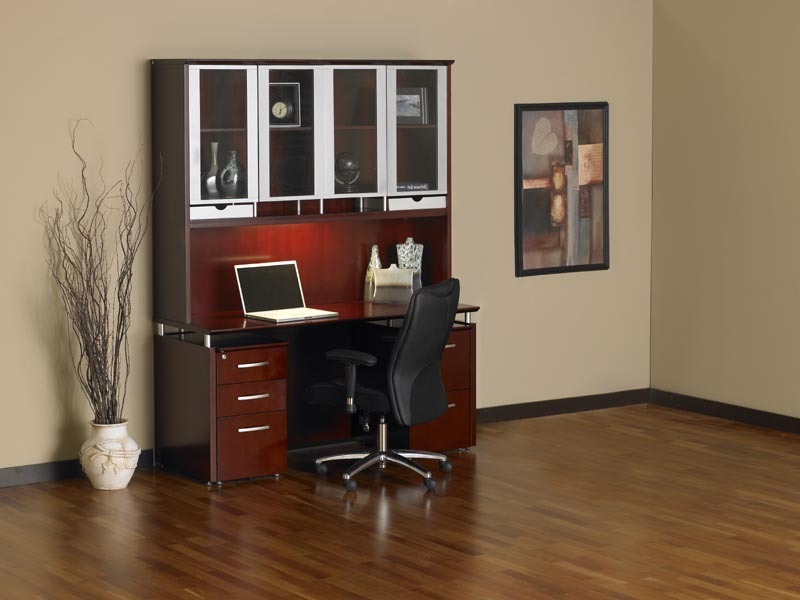 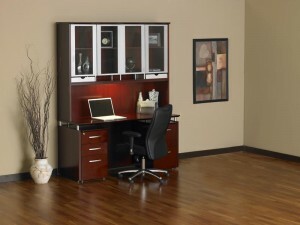 Combines clean, modern lines with stylish accents and a wide selection of storage options. 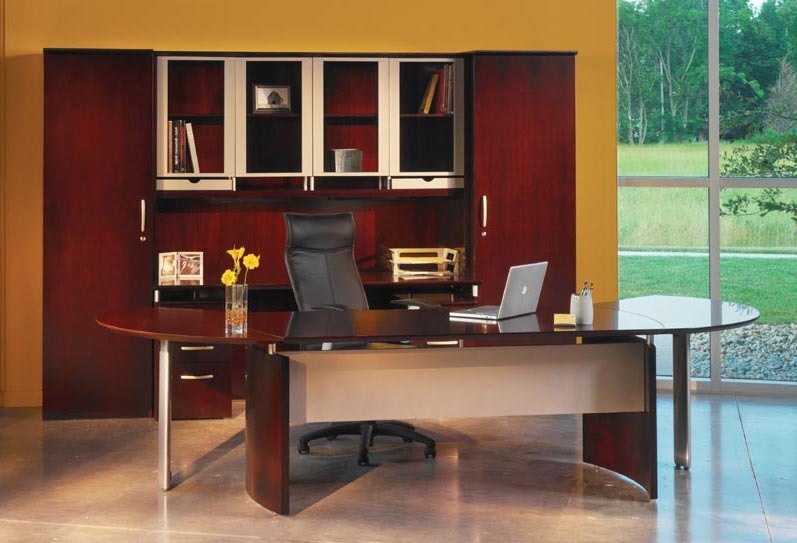 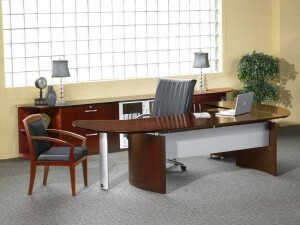 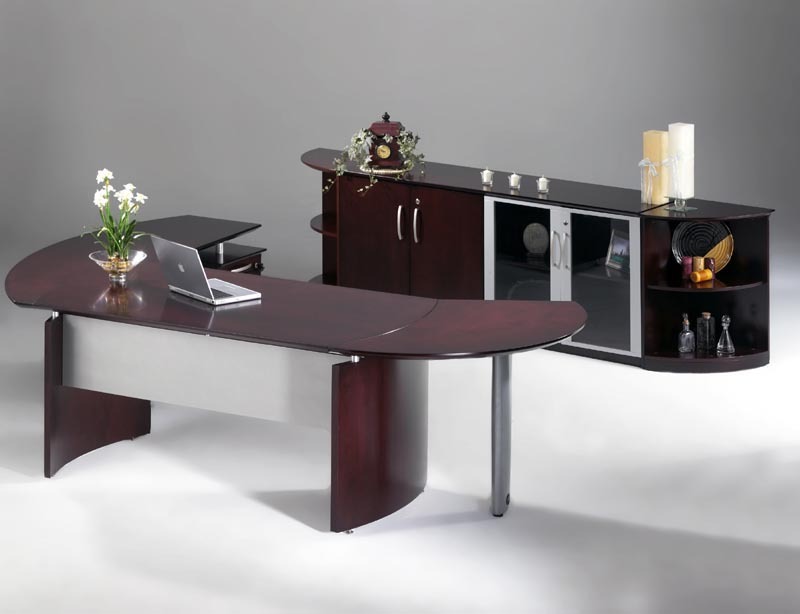 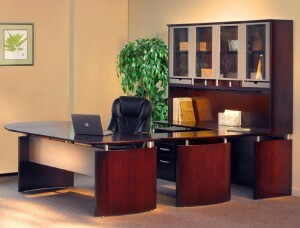 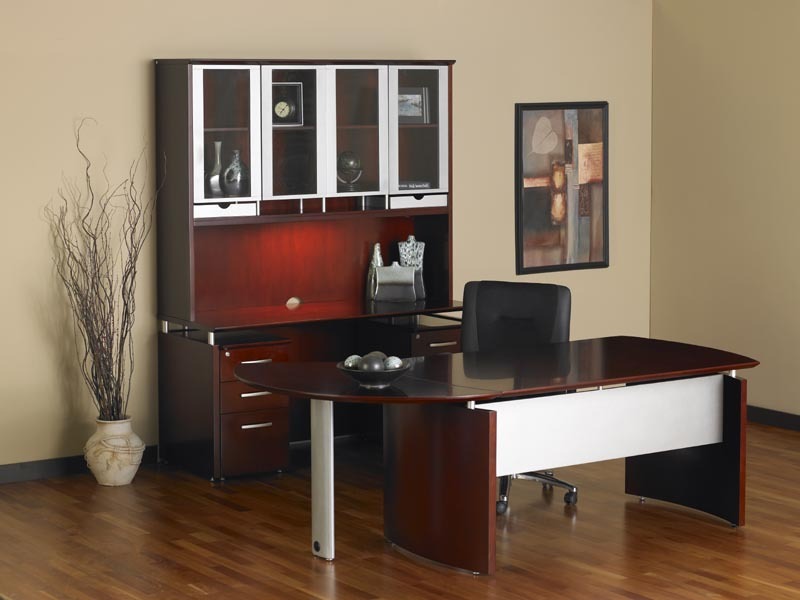 Curved desk surfaces merge together to define your space with elegance and efficiency. 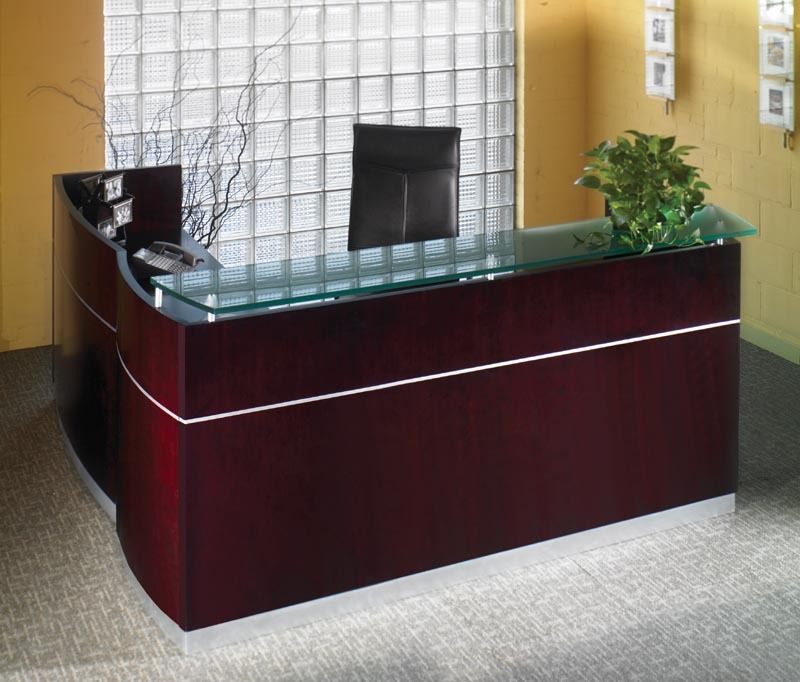 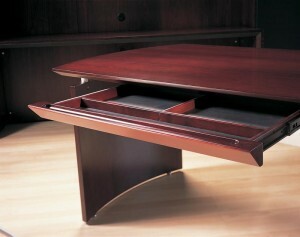 Desk surfaces have an Italian-influenced “floating” appearance. 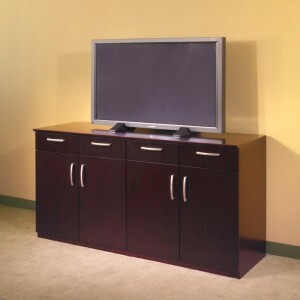 Napoli Price PDF has complete list of components, take half off the listed retail prices. 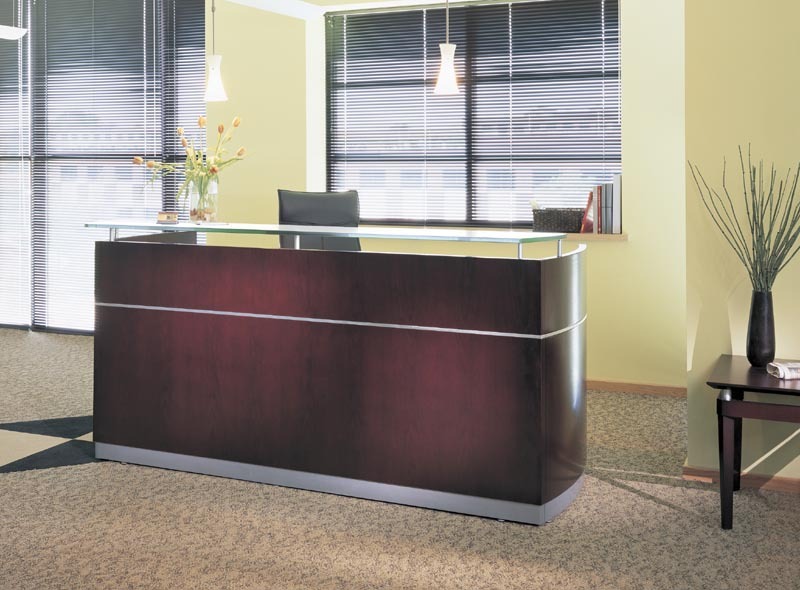 Call us at 727-330-3980 and let us create your office layout from your floor plan. 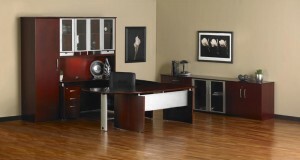 We’ll deliver to you a design layout utilizing the Napoli Series along with a quote with your Half Price savings.